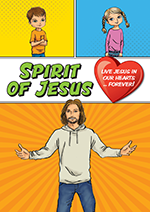 Bring the Catholic faith to life for your students by showing them how to live it every day. Give them all the tools they need feel the Spirit of Jesus each day and find the God Moments that are always happening around them. If you want to join our mailing list, fill in the form in the ‘Contact’ section. 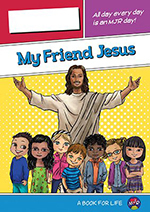 Click on the MJR products below to learn more, each link goes to Garratt Publishing’s website, where you can purchase all the incredible Make Jesus Real products. Stay tuned and check back to find out about the latest MJR products that are coming your way soon! Let the messages of MJR extend beyond the school gates with these calendars! 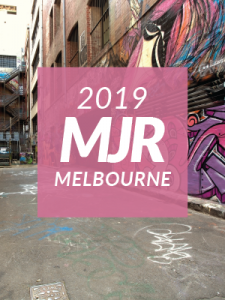 The Make Jesus Real Conference 2019 is heading to vibrant Melbourne and will be held the stylish Jasper Hotel! People Love Make Jesus Real! 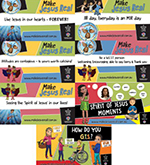 For more extensive testimonials on Make Jesus Real, including how people implement it in their schools click on these words! Having witnessed ‘first hand’ the impact of ‘Making Jesus Real‘ …. I am convinced that our formal Religious Education programs need to be complemented by a vibrant, practical ‘hands on’ program. I am impressed with the wide influence of Make Jesus Real …. I commend MJR to any diocese seeking a faith-focused values education program. Linking faith and spirituality with resilience and leadership Make Jesus Real is a one-of-a-kind. 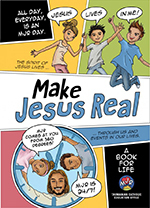 Make Jesus Real is all about inviting children to be alert for and reflect upon the God Moments.